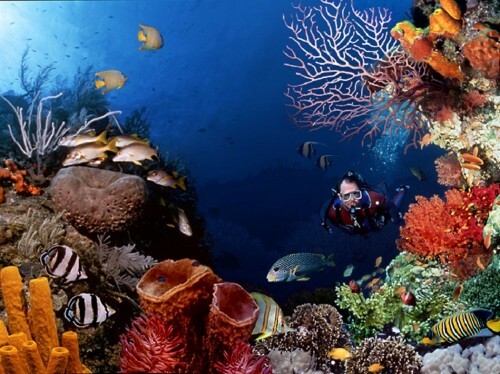 Moving under sea by wearing special breathing equipment is called as Scuba Diving. Some people dive for fun. But some gets trained professionally who dive for undersea research or for their work near oil wells. Scuba diving was started in the fifteenth century. In 1535, Glugelmode Loreno designed a diving bell. This bell was a bucket shaped jar which allows the person to dive in water till oxygen in it gets finished. Thus he has found that it cannot be used to dive for longer durations. In 1832, Charles Antony Den has made a helmet which was designed for fire fighters initially. Later he modified it and invented the first Scuba Diving device. Diving suits were invented after five years. But helmet was not attached to the suit and was held by small straps. Later in 1943, diving schools were formed due to increased demand for diving. The Scuba Diving got much popularity after the invention of Helium-Oxygen cylinders. Slowly Scuba Diving has become an adventurous activity and most liked sport all over the world.